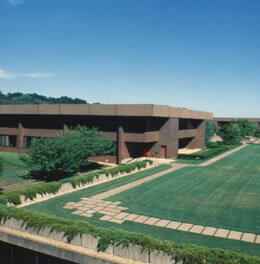 Nyala Farms office park by Miller & Favazzo Properties - quality real estate development and property management. 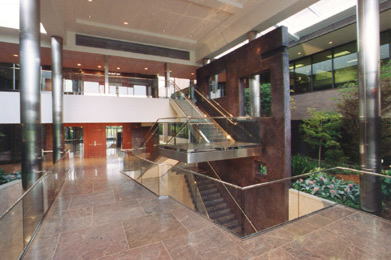 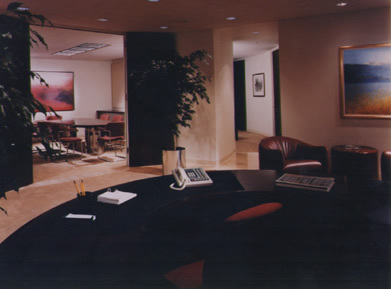 Redeveloped as a joint venture with ICI Americas in the mid 1990s, this 380,000 SF, 50-acre pastoral office park underwent complete redevelopment, which included gutting the buildings and creating new lobbies, bathrooms, and amenities to attract the most prestigious tenants. 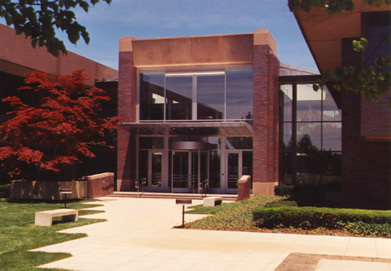 The initial tenant roster included Phibro Energy, Playtex, and Dun & Bradstreet.